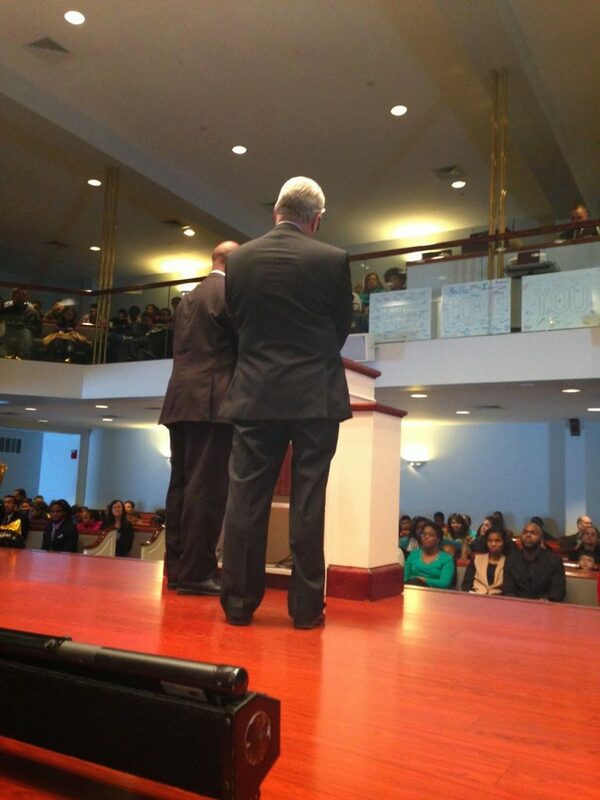 I was invited to teach and preach the 30th Anniversary Sunday for my good friend of 3 decades Dr. Michael Stoddard. He and his dear wife 30 years ago started the NEW TESTAMENT BAPTIST CHURCH. After 30 years of faithfulness God has given them a vibrant spirit-filled fruitful Baptist Church. They purchased a beautiful facility just off of one of the main thoroughfares in East Hartford, CT., and converted it to a wonderful church facility. You must visit this church if you are in the area. Sunday morning the Sunday school classes were bulging at the seams. There was electricity in the air as I took the elevator to the 3rd floor to teach the Pastor’s Sunday school class. The room was full not only of people, but the spirit of God had liberty. Dr. Stoddard and his dear wife were honored by the church for their 30 years of faithful service. Imagine he and his family started with nothing – no building and no people. Today they have wonderful first class facilities just off one of the main thorough fares in East Hartford, CT. This is an old time religion church. Yes, you read it correctly. King James only, independent Baptist, soul winning, separated, old time preaching, old time singing, and they even have an antiquated Bus Ministry. Dr. Stoddard attended almost every NATIONAL SOUL WINNING CLINIC conducted for 29 years in Longview, TX. He was and is a very teachable man. I have been invited to preach for him almost from the very beginning of this dear church. I have observed their growth throughout these 3 decades and it is a miracle in this religiously stuffy North East. I preached Sunday morning my sermon “LONGSUFFERING” and many adults trusted Christ and followed the Lord in baptism. The altars were filled and the spirit was fantastic. If you like the old time religion you will love this church.